It is with sadness that I report the passing of another one of the greats of the rock and roll era. Clay Cole, born Albert Rucker, Jr. on January 1, 1938, has passed away at the age of 72. Clay apparently succumbed to a heart attack at his North Carolina home on December 18, 2010, just a couple of weeks prior to his 73rd birthday. Clay was a television host, disc jockey, emcee, writer, producer, movie star, and author. He was best known for his eponymous TV show, which aired in the New York City area from 1959 to 1968. Clay's youthful enthusiasm helped to make the rock and roll dance show a success. When the winds of musical change began blowing in the late 1960's, Clay resigned from the show and started focusing more on behind-the-scenes work such as writing and producing. In 2009, his memoir Sh-Boom! : The Explosion of Rock 'n' Roll (1953-1968) was released, and Clay spent much of late 2009 and early 2010 promoting the book via TV, radio and personal appearances and book signings. In October, Clay was a recipient of the Friends of Old Time Radio Award at the 2009 Friends of Old Time Radio Convention in Newark, NJ. During the past year, Clay was the master of ceremonies at several oldies concerts, and he was one of some 100 stars who participated in the National Rock & Roll Fan Fest (Rock Con) at the Sheraton Meadowlands in East Rutherford, NJ from July 30 to August 1, 2010. More information on Clay's stellar career can be found on his official website as well as on the Clay Cole Wikipedia page. Watch for a special tribute on the Jersey Girls Sing website, run by Clay's dear friends Denise Ferri, Bernadette Carroll, and Ronnie Allen. Also, please be sure to sign the petition to get Clay inducted into the Rock and Roll Hall of Fame, an honor he truly deserves for all of his efforts over the years in promoting the great music of rock's golden era. Rest in peace, Clay, and thanks for the years of music and memories and great times. Yes, you really were something. 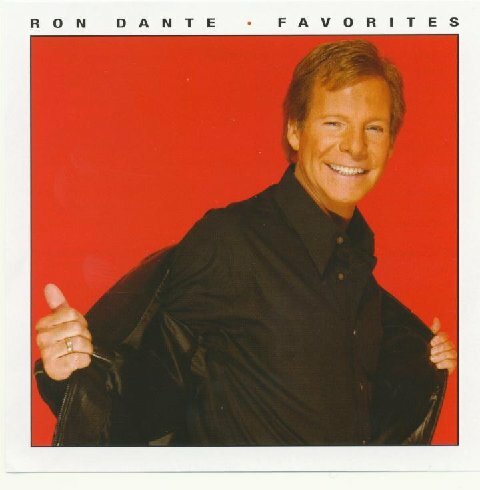 The newest CD by Ron Dante, lead singer of The Archies ("Sugar, Sugar") and The Cuff Links ("Tracy") as well as producer extraordinaire (Barry Manilow, Cher, Pat Benatar), is actually an enhanced version of some old Favorites - but what an enhancement it's turning out to be! Fans of the handsome, talented and eternally youthful singer are going to be delighted with this latest offering, scheduled for release on June 15, 2010. Favorites will feature twenty (count 'em!) tracks, combining most of those originally released on the CD's previous incarnation with a hefty helping of bonus cuts including some never-before-released gems, like remakes of the Elvis hit "That's Alright, Mama" and Bo Donaldson & The Heywoods' "Billy, Don't Be a Hero." Ron's had quite a few solo album releases over the years, including a fair number within the past decade. His voice still sounds as strong and youthful as ever. The original version of Favorites was released in early 2000 and is now out of print, and rare enough to sell for around the $75.00 mark when and if a copy can be found. 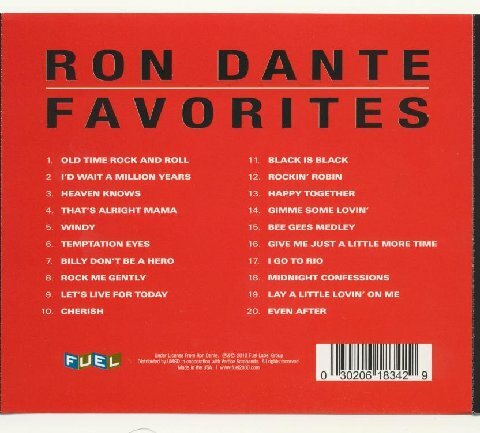 Happily, now we can all enjoy Ron Dante's Favorites for a fraction of that amount! Click on the graphic above to reserve your copy on Amazon.com. The official front and back covers appear below. Hunky singer-songwriter Andy Kim, who rose to fame during the late 60's and early 70's with hits such as "How'd We Ever Get This Way," "So Good Together," "Baby, I Love You," "Be My Baby" and "Rock Me Gently" (as well as The Archies' "Sugar, Sugar," which he co-wrote with Jeff Barry), has just released his first new album in more than two decades. Happen Again is proof that great artists, like fine wines, only improve with time. The Canadian-born tunesmith, whose movie-star good looks are still very much in evidence, is in the process of rehearsing for a concert tour of his native country. During the past few weeks, Kim has been doing a fair number of radio, periodical, and web interviews and making personal appearances to promote both the CD and the tour. On March 30th, the day Happen Again was officially released, Andy Kim and his band put on a great 45-minute performance in the lobby of the AM740 (Zoomer Radio) studios in Toronto, Ontario. The video was streamed live via the Internet and is now available for viewing on the radio station's website. Just head on over to Zoomer Radio's On-Demand page, where you will see a video screen and, to its immediate right, a vertical column of circular graphics. Click on the one that reads The New AM 740 (second one from the top); this brings up a list of available videos, in alphabetical order. Andy Kim's is the first one listed. Click on it, and the video will begin playing on the screen. Relax, enjoy, sing along if you know the words, and hear the magic for yourself. Live and unedited, this concert and interview illustrate beyond a doubt that the man, whom many of his admirers refer to as The Voice, has lost neither his chops nor his talent. Below is my review of the Happen Again CD, which appears both on Oldies Connection and my Andy Kim Fan Page, in its entirety. A track-by-track review I wrote prior to the CD's wide release can be found on the product page on Amazon Canada, under the heading "Andy Kim Makes it Happen Again." Imagine, just for a moment, that you are Andy Kim. 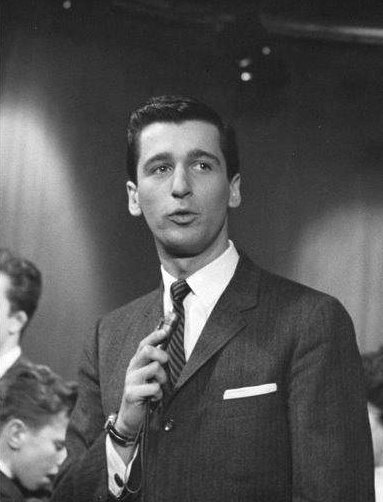 Make believe that you are a singer/songwriter who left your native Montreal as a teenager in the mid-60s, traveling to New York City where you met your musical idol, Jeff Barry; teamed up with him to record several Top 40 hits ("How'd We Ever Get This Way," "Baby, I Love You," "Be My Baby") for his record label and to write a song that would sell in the millions, and become Record of the Year for 1969 ("Sugar, Sugar"); and composed, produced, recorded and released what would become your signature song and an international hit in 1974 ("Rock Me Gently"). Pretend that your songs and recordings endure to this day, continually being discovered by new generations of fans. And imagine that there's probably not an hour that goes by when at least one of your songs isn't playing somewhere in the world. Now - if you were Andy Kim, what would you do to top all that? The first thing you would do to top all that is to NOT try to top all that. If you were Andy Kim, you would continue to write songs in the same way you always have - from your heart and soul and mind and imagination and life and wisdom. You would continue to write songs for the same reason you always have - because songwriting, the sharing of your music and your spirit with the world, is a part of you. It's in your blood. It's in your DNA. You would do it whether or not you made a dime from it, whether or not you became famous through it. You're not setting out to record a million seller or to compose the perfect tune. Probably you're aware that, if you love the end result, there are others who will too. But this is neither your motivation for nor the source of your compulsion. And dreams were in their prime? And, before you're even aware of it, forty years after your teenage self began creating hit records in New York City, you've made it happen again. It's almost impossible not to love a song with lyrics like those, and the sentiment within those lyrics - from the title track of Andy Kim's first new album in over twenty years - is prophetic. Happen Again is proof that Andy Kim still has the same magic touch that he's always had, and that all he ever needs to do is all he's ever done - just write his songs one heartbeat at a time and let his innate talent take care of the rest. Happen Again is a work of art. It is, quite simply, magnificent. 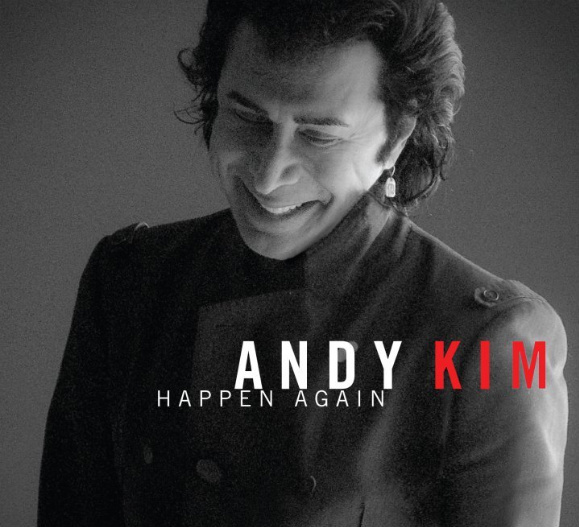 Andy Kim's Happen Again is available from Amazon Canada. Visit Andy's official website, http://www.andykimmusic.com/, for details. Go to Andy's official MySpace page to listen to the tracks and discover for yourself the genius residing in the music and mind of this kid from Montreal. And, if you only buy one CD all year, make it this one. Yes - it's that good.